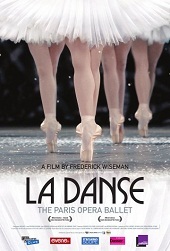 Frederick Wiseman's documentary film La Danse is a celebration of one of the greatest ballet companies in the world - the Paris Opera Ballet Company. Not only we get to see some truly great dance sequences, Wiseman also takes us on tour of almost every nook and cranny in the beautiful Paris Opera House, the Palais Garnier. The film is a also a celebration of Paris itself, with some amazing rooftop shots of the city. Pacquita by Pierre Lacotte, Romeo and Juliet by Sacha Walts, and Genus, by British choreographer Wayne McGregor, danced by Benjamin Pech and Marie-Agnes Gillot. Interestingly, La Danse does not show any live performances, members of the orchestra, or the audience; only technical and dress rehearsals. This may be attributed to strict union rules that forbid the filming of any such performances. Wiseman is one of America's greatest and most accomplished documentary filmmakers, with a career spanning across more than 40 years. Becoming a filmmaker after abandoning a career in law, he would make a name for himself in 1967 with the release of his first film, Titicut Follies, depicting life in a state-run hospital for the insane. The film was hailed as a masterpiece of the documentary genre, and with the subsequent release of High School (1968), Law and Order (1969), and Hospital (1970), would solidify his reputation as a master filmmaker. For the next 30 years, Wiseman would continue to make films about institutions, most notably Juvenile Court (1973), Racetrack (1985), Aspen (1991), and even a film about that great French cultural institution, La Comedie Francaise, in 1996. 2001 saw the release of Domestic Violence, a film that takes place in and around a battered women's shelter in Florida; it was Wiseman's most striking work in years. 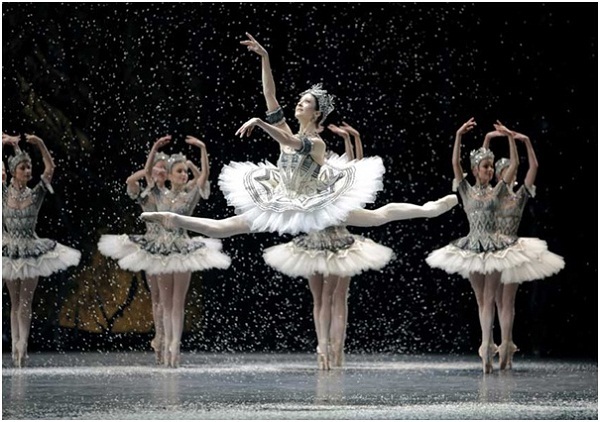 La Danse includes anything and everything to do with the Paris Opera Ballet; the administration, the technical support, the rehearsals, and all that goes with it, including the maintenance of the building. Wiseman has left absolutely nothing out, which brings me to the one and only criticism I have of this film – at 159 minutes, it is overlong. Otherwise La Danse is an artistic tour de force, a joyous experience and a feast for the senses. As they say in French: ces't magnifique.